Come lift your voices to the Lord and make a joyful noise! 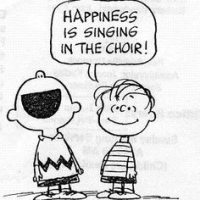 Choir meets regulary from September - June on Wednesday evenings from 7-9pm. We also meet at 9am on Sunday mornings for warm-ups and touch-ups! If you love to sing, we would love to have you!